Physicians To Women offers every age-appropriate patient the privacy, comfort, and convenience of in-office digital mammography exams. Our mammography suite and service has been designed to meet the discrete needs of today’s woman and deliver nothing less than the best quality breast care in the area. We schedule one patient at a time. 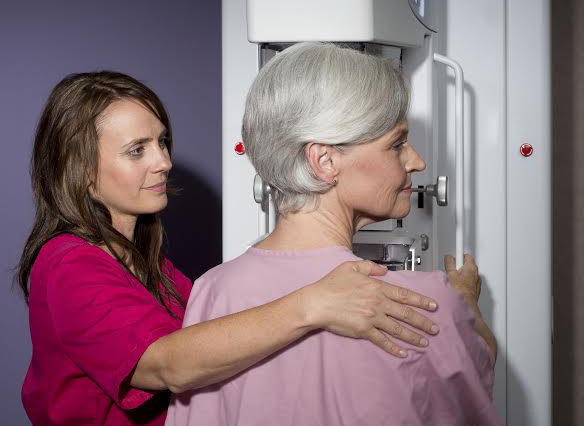 The mammography exam is performed just prior to and as part of your Well Woman Exam. Our technologist is certified, experienced, caring, and attentive to every patient. We use the very latest and best digital technology in the industry. Every mammogram is read by a Board-Certified radiologist who is expert in breast imaging. Exam results are available to your physician within 48 hours. Patient breast health records are maintained and monitored here, thereby further enhancing patient quality of care. (mother, sister, or daughter) of pre-menopausal breast cancer may need to commence exams at age 35 or 10 years prior to the family member’s age at diagnosis.